In the past, the majority of men wore plain, unadorned bands. Today, there are countless wedding rings in all types of styles, making a choice much more difficult. 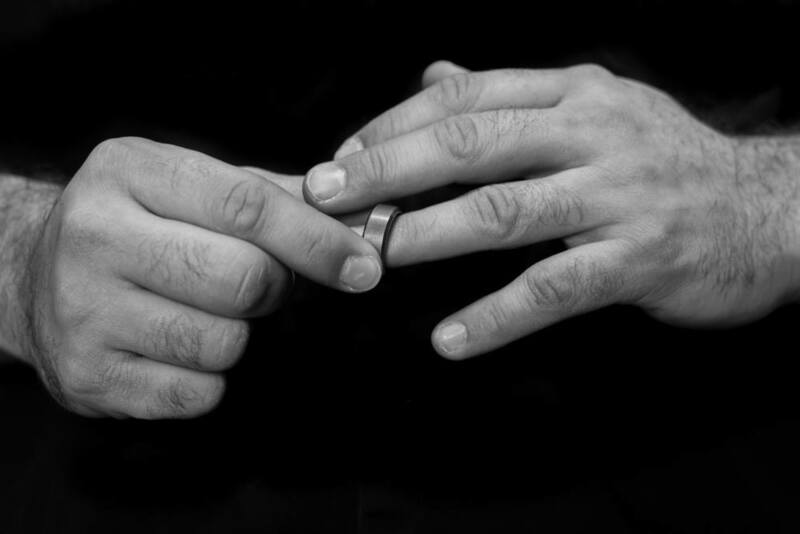 One of the biggest deciding factors for a men’s wedding ring is lifestyle. Many may choose to pick a ring that reflects a hobby that they share with their loved one, or a ring that will be well-suited to an active lifestyle, etc. Men who love fishing, hunting, and camping need a durable ring that will be able to withstand their rugged lifestyle. Look for a ring that is made out of tungsten, which has a higher rating on the Mohs scale of hardness than both gold and platinum. This means that tungsten is much more resistant to scratches than gold and platinum, so it’s perfect for men who spend time in the wilderness. 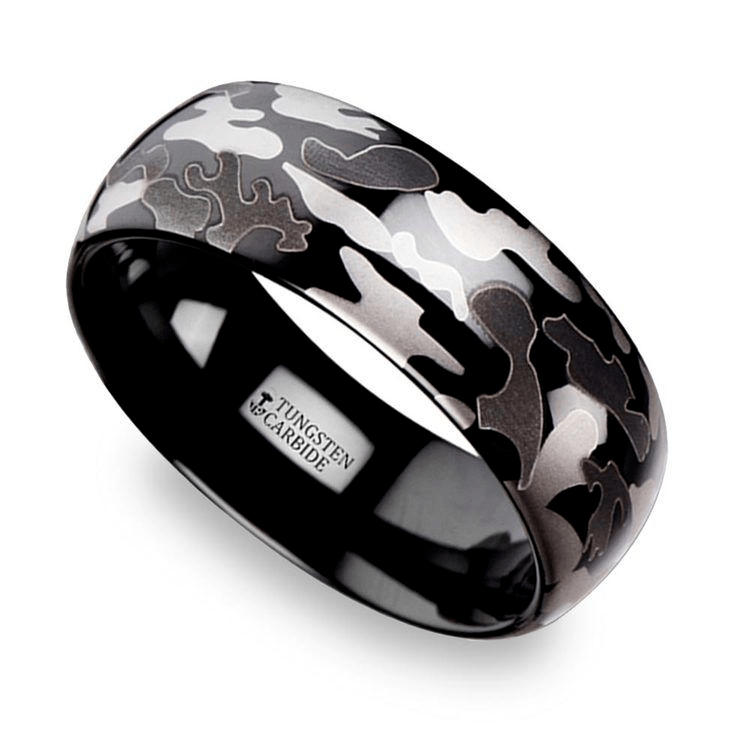 Editor’s Pick: The Black & Gray Camo Pattern Men’s Ring is perfect for men who enjoy the great outdoors. Not only is this ring made out of tungsten, it also features an understated black and gray camouflage print, which is a pattern associated with masculinity and toughness. 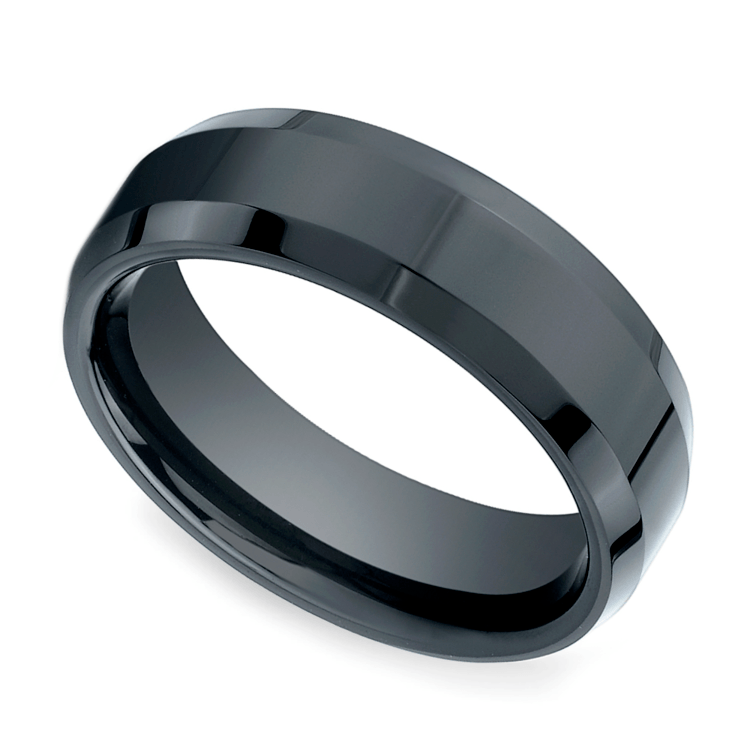 Active men need a ring that is durable enough to keep up with their fast-paced lifestyle. Ceramic rings are durable, but that’s not the only reason why they are perfect for active men. Ceramic is lightweight, so the rings are more comfortable to wear, which is important for men who are constantly on the go. In addition, ceramic won’t interact with sweat and irritate the skin on your finger since it is hypoallergenic, unlike other materials. Editor’s Pick: The Beveled Men’s Wedding Ring in Ceramic is stylish, comfortable, and durable enough for active men to wear all day, every day. For safety reasons, travelers should never wear flashy jewelry. So men who love traveling should look for a simple wedding band that won’t draw attention to them in other parts of the world. Titanium bands are great choices for world travelers since they are resistant to scratches and incredibly easy to clean. 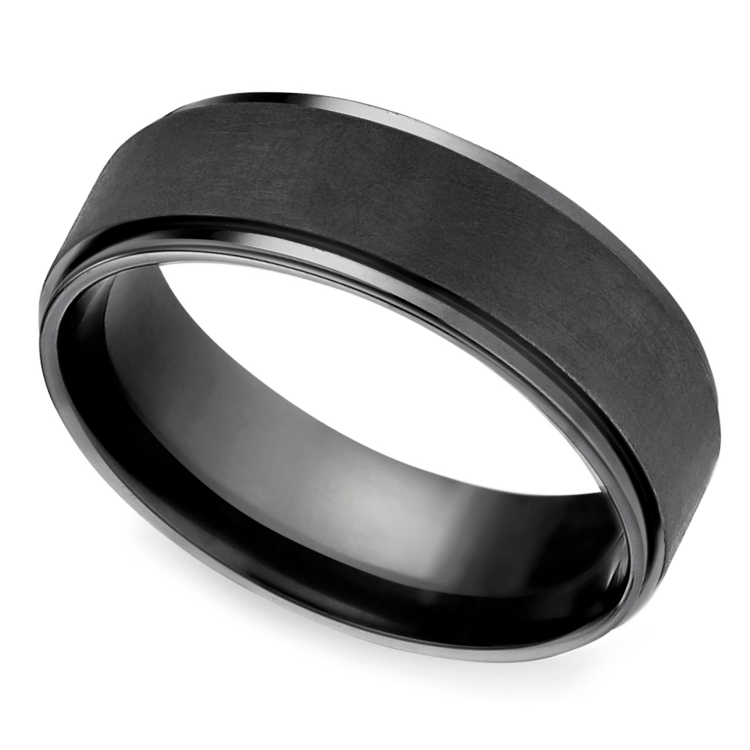 Editor’s Pick: This Beveled Pattern Men’s Wedding Ring in Titanium is ideal for world travelers. The fact that this ring is simple and made out of titanium makes it a practical choice, but its sleek design and unexpected color makes it stylish, too. Men who live a family-focused lifestyle don’t have to worry about finding the most durable or scratch-resistant band, so they have more options than others. Platinum rings are great for family-focused men since they will never lose their value and can be passed on from generation to generation. Family-focused men should look for a platinum ring that honors their commitment to their loved ones in a special, subtle way. 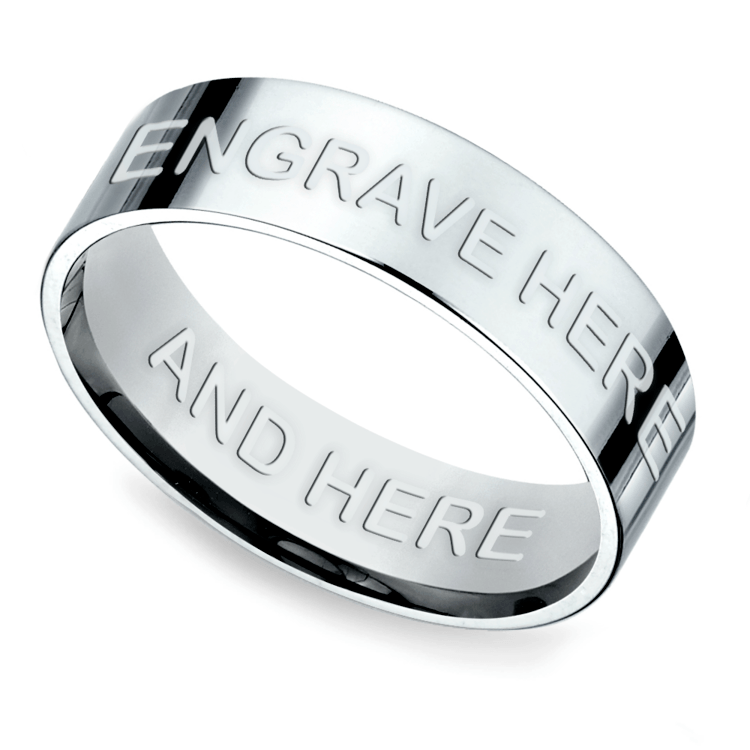 Editor’s Pick: This Flat Men’s Wedding Ring in Platinum can be engraved with a custom message to make it more personal to the man who is wearing it. Engrave this ring with your significant other’s name, initials, or an anniversary date to honor the most important person in your life. Keep this guide handy before shopping for men’s wedding rings so that you can make sure the ring you choose is appropriate for your lifestyle!